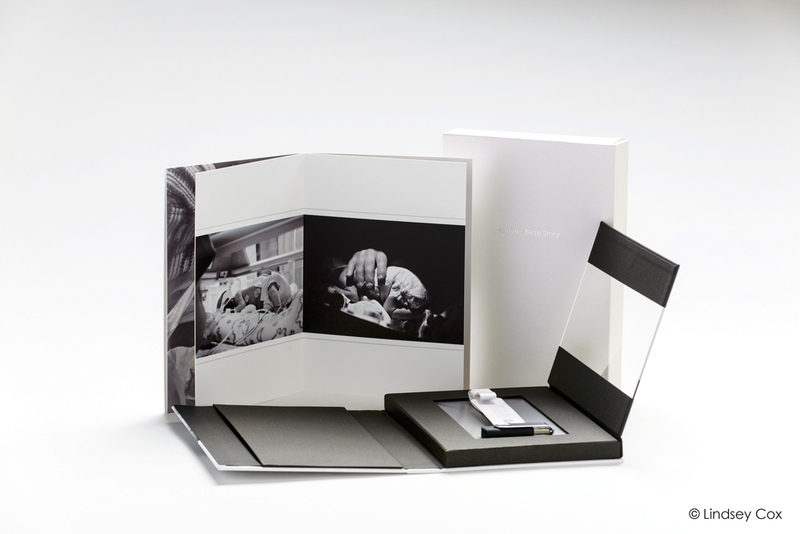 The USB/Keepsake Presentation Book is a unique and contemporary ensemble for presenting client images and/or showcasing memorable keepsakes. This presentation book has a designable custom cover that opens to reveal a fully designable, removable hard-page book. Opposite the removable book is a windowed compartment to hold a USB* or a small keepsake. The presentation is completed with a slide-in protective case available in three colours, with the option of a personalised hot stamp text. * USB not included.